Pre-register by clicking the link below. Pre-registration of €62/person is now open. This fee covers the administrative costs. Full registration will be open Sunday 14 April and will cover food and accommodation choices. FULL REGISTRATION for food (lunch and dinners) will be available after 14th April. The estimated cost will be approximately €100. The opening 2 August, Friday, will include a Shabbat dinner with villagers in Herrnhut. 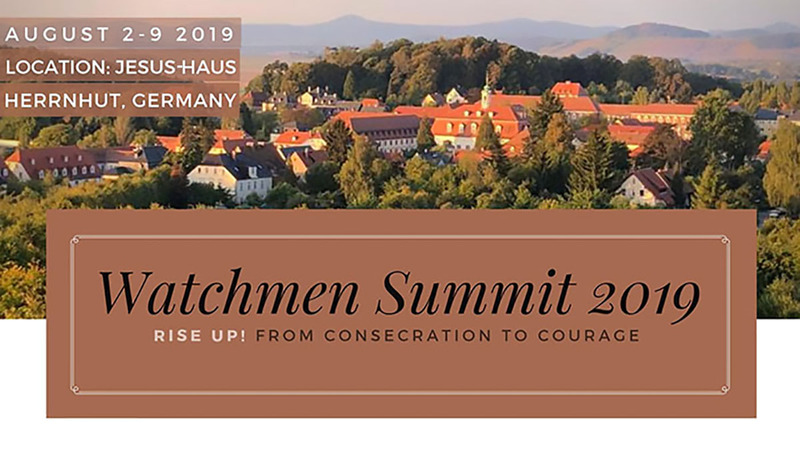 Komensky is a beautiful modern guest house and conference center run by the Moravian Church and is within a few blocks of Jesus Haus. Breakfast is included. Each room/apartment has its own bathroom & shower. Rooms at Jesus Haus are on site of the Summit and vary from single/double bed units with shared bathrooms/showers to dormitory style rooms. Breakfast is included. Rooms are extremely clean and easily accessible to the Jesus-Haus' 24-hour house of prayer. Note: We prefer to reserve these rooms for those on worship teams coming in, administrative team, those joining in the night and early morning watches or who see themselves coming with a primary focus of serving the local House of Prayer during the gathering.